If you’re going to Barcelona next month for VMworld 2015, one thing I can thoroughly recommend are the vBrownBag TechTalks that take place in the Hang Space. If you’re not familiar with them, these TechTalks are 10 minutes long and given by anybody from the virtualisation community with something interesting to share. So, if you have a gap between sessions or there’s something of interest on the TechTalk schedule (this is published closer to the time) then they’re well worth listening to. Of course, it may be that you have something you could talk about for 10 minutes. If so, why not propose a session using this Google Form? VMworld Europe 2014 gets under way two weeks from today. 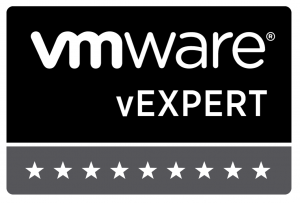 There are a large number of excellent sessions available to schedule but if you either didn’t get yours selected, didn’t submit one but wish you had or just have something that you want to share with VMware users and the community in general then there is another way. Every year at VMworld (both US and EMEA), the vBrownbag crew organise a series of TechTalks aimed at giving anybody who wants to, a chance to present for 10 minutes on the topic of their choice (except for direct product pitches). Next week is VMworld Europe 2013. My wife tells people it’s a “Uber Geek Fest”. She’s probably right about that! This will be my third VMworld and I know without a doubt that there will not be enough hours between Sunday and Thursday this coming week for me to meet all of the people and vendors that I want and see the sessions that I want. Thursday Sessions including PHC1000-GD, VCM5477, NET5521 and VCM5048 Travelling home! I’m sure that it’ll change a bit, it always does. Outside of the above I’ll be in the community lounge (checking out the #vBrownBag talks), Hands-on-Labs or the Solutions Exchange. See you there! This was the day that 8000 or so people descended on the conference centre in Barcelona as VMworld opened its doors wide. Whilst the Fira Barcelona appears to me to be a bigger venue than the Bella Center in Copenhagen, it does still have its pinch points and I was glad to get there early enough in the morning to avoid the rush to the keynote speech. For me, this was the first time that I’d seen (or read) anything publicly from new VMware CEO, Pat Gelsinger, since he took office and I was interested to see how or if the message had changed since Paul Maritz moved on. Pat’s keynote speech was well delivered and well received in my opinion. I sensed though that he was being careful to try and establish his credentials as someone who can take a successful company like VMware and continue to grow it. I hope he is. All three were well presented and interesting and I took something away from each of them that was either new to me or sparked an idea or a thought in my head and that’s the benchmark of a worthwhile session for me. I also spent a small amount of time in the Solutions Exchange (more on that in another post) and in the Hang Space watching vBrownbag sessions. You can catch up on these sessions online here.